heat pump, wells for geothermal heating and peristaltic pumps. Peristaltic pump for construction of wells for geothermal energy with heat pump. A major european company, specialized in foundation works, in recent years, has introduced a division that deals with installation of geothermal plants with heat pump.These plants provide the realization of the wells drilled in the ground for the installation of geothermal piping and sensors. These wells are typically low-depth, up to a maximum of 150 meters and small diameter. Inside of the wells are inserted the vertical geothermal sensors consisting in polyethylene pipes with plant connections. Subsequently, the wells are isolated by filling with a specific material that is placed between the pipes and the bore of the well. The filling material, in addition to the thermal conductivity must also ensure a low solubility, to avoid interaction with the groundwater and must also guarantee a good elasticity to avoid collapsing of the soil, the filling material most commonly used is a grout, cement-based and bentonite, which serves perfectly to this function and is widely used in the engineering of specialized foundations. The mixture looks like a thick mud but rather fluid. The operation of isolation of the well is of fundamental importance for the purposes of the maximum thermal output, and must be made perfectly before connecting the geothermal wells and the heat pump plant. To effectuate the preparation and transfer of the bentonite mixture, two pumps, Hose Carrier HCP 6.5 have been purchased. 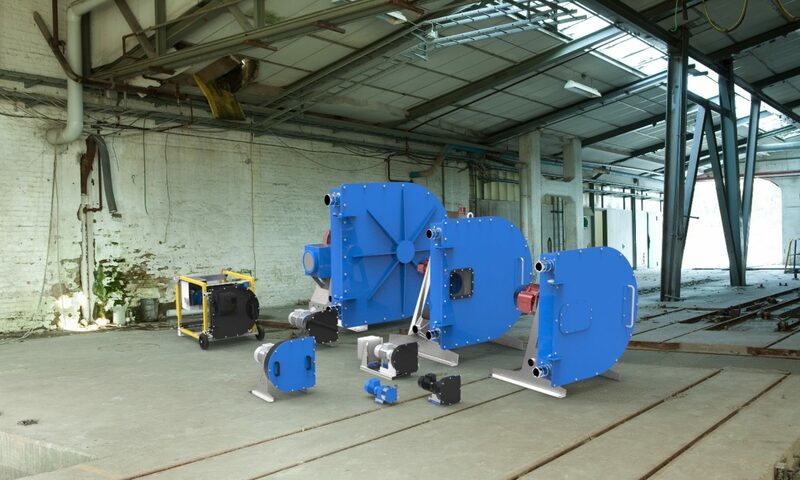 The pumps are realized with compact dimensions and equipped with a mechanical variator to adjust the flow rate easily. 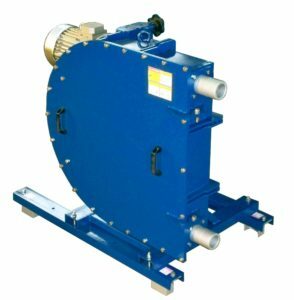 The customer placead the pump on custom skid complete with electrical panel and protections so is possible control the pump, directly on board of a vehicle, or on construction yard. The two pumps operate by 2011 with an annual consumption of 4 tubular membranes. Which makes us assume that should work with particularly intense rhythms.